With the increasing of Intangible cultural status, as the main transmission medium, the off-line experience store is the most common way for the public to contact with the traditional handcrafts of Intangible cultural heritage, it not only continues the emotional experience of the audience, but also plays an essential role of the Intangible Cultural Heritage even after the exhibition. However, the visit to some off-line experience stores of traditional handicraft derivative product and museums shows that the existing off-line experience stores have a monotonous, homogeneous, low-end and cannot cause the public to pay attention to the traditional handcrafts effectively. After the exhibition of most people, they are not only stay on the superficial memory level of the traditional handcrafts, the off-line experience stores which extended from the traditional handcrafts cannot better disseminate cultural values also. Based on this problem, this paper makes a design study from the perspective of multiple senses, and puts forward the design criteria of Multi-sensory experience design principles combining with digital multimedia technology, which concluded VR, CyberGrasp Data glove, Beyond Tactile Experience and so on. 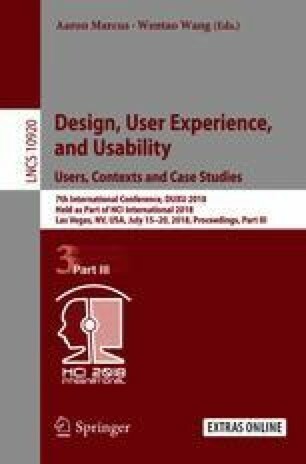 This paper analyzes the psychology of customers’ timely feedback in digitalized situation, and creates immersive experience atmosphere, realizes the digital situation display and the interactive experience of the off-line experience stores of traditional handicraft derivative.